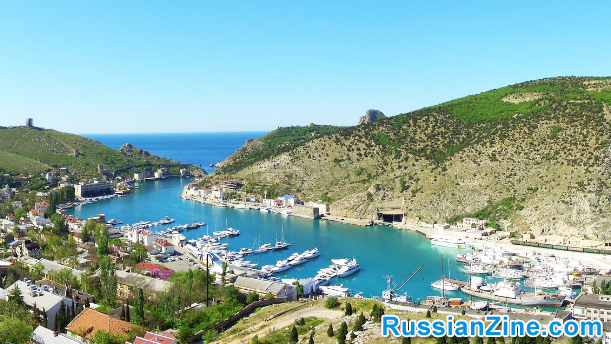 Balaklava is a small port town to the south of Sevastopol where the infamous Charge of the Light Brigade took place. In fact, it’s played a major role in all sorts of military conflicts through the centuries. Speaking of things military: Can you spot the military base in this photo? 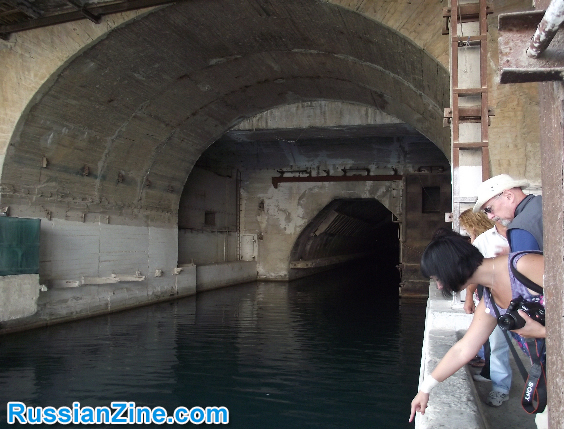 You’re looking at a secret, and formerly highly classified Soviet submarine base, which was in operation until 1993. Being built inside that hill, it was designed to survive a direct nuclear impact. 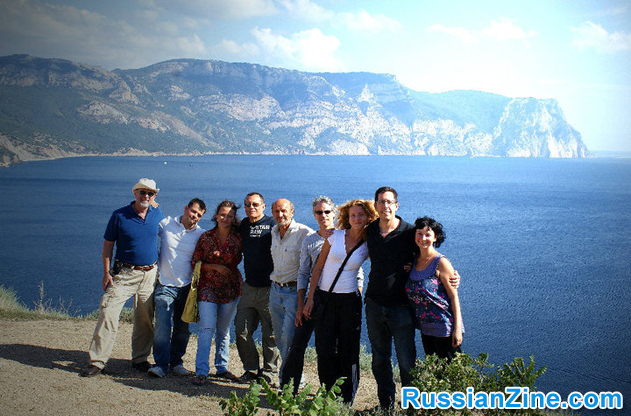 Until 1993, Balaklava was one of the most secret residential areas in the Soviet Union. Nearly the entire population at one time worked at the base; even family members could not visit the town without a good reason and proper ID. 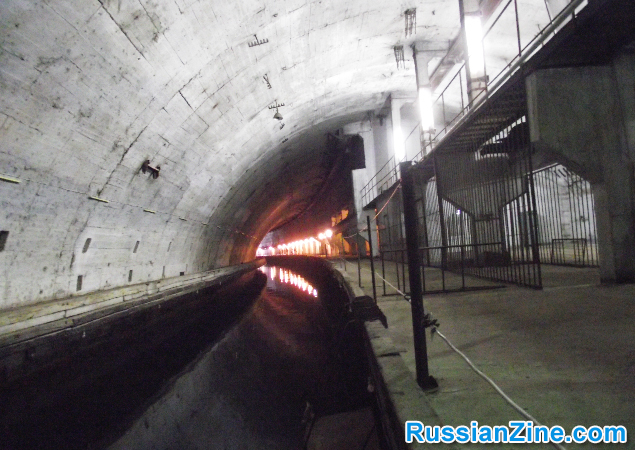 In 1996, the last Russian submarine left the base, which is now open to the public for guided tours. Here’s a video of the tour we had. The waitress shrugged. “I don’t know what you’re talking about,” she said, nearly emotionless. I pointed to the tunnel entrance. “The hidden submarine base. I heard that it’s possible to visit now,” I insisted. “I’ve never heard of it,” the waitress said. “Why don’t you ask the Military Police over by the pier,” and then she left. But when we held our Russian Accelerator Summer Workshop the following year, we arranged a tour of the base ahead of time, which is how we took these photos. Next: What Language Do They Speak in Ukraine?